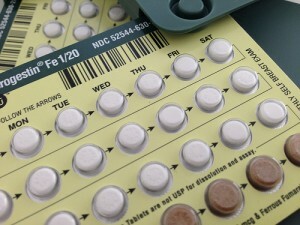 Birth control pills lower the risk of uterine cancer, but increase the risk of breast cancer. Groundbreaking studies in Australia have discovered new benefits of taking the contraceptive pill. A study on 27,000 women showed that for every five years a woman took the pill, her risk of Endometrial cancer – the most common type of uterine cancer – dropped by 25%. The study also showed that the benefits are ongoing even after they stop the intake of oral contraceptives. These benefits are also independent of weight, age, menopause or whether they have given birth before or not. If a woman takes the pill through her 20s and 30s, she could have dramatically reduced the risk by the time she reaches the most vulnerable age group: 55 or older. It is widely known that the intake of contraceptive pills increases the risk of breast and cervical cancer, however. So is the benefit greater than the risk? “If you look at a woman’s overall lifetime risk of developing any cancer, the benefit of ovarian and endometrial cancer outweighs the transient risk in terms of breast and cervical cancer”, says Associate Professor Karen Canfell, director of cancer research at Cancer Council NSW and a member of the group that carried out this research. The contraceptive pill was introduced in the 1960s and has been taken by women worldwide ever since. The international collaborative group that carried out the research says that in high-income countries “over the past 50 years [the contraceptive pill has] already prevented a total of about 400,000 endometrial cancers before the age of 75 years, including 200,000 in the past decade”. This research and its results are merely beneficial for science investigations. Canfell was very clear in expressing that women should not take the pill just because of the benefits of a lower risk of uterine cancer, but rather as what it is: contraception. The pill can have some side effects that can affect your health and moods, so you should always start treatment after speaking to your doctor.